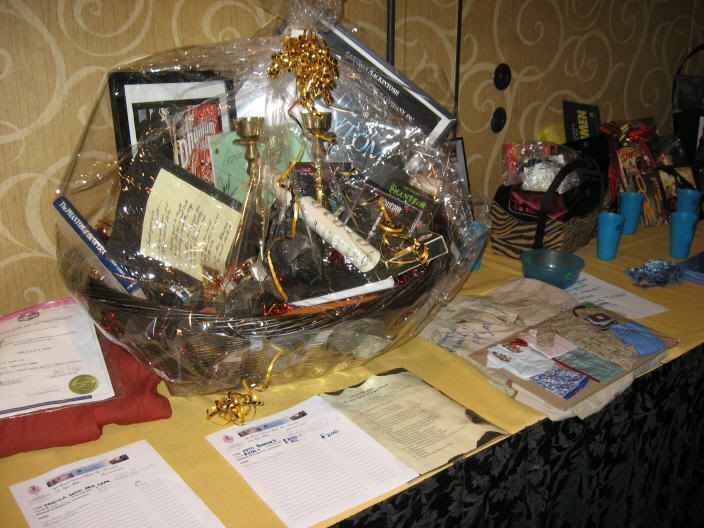 We are again soliciting donations of goodies that will be desired in our fundraising raffles and auctions this year both in Las Vegas and for the Virtual Convention. 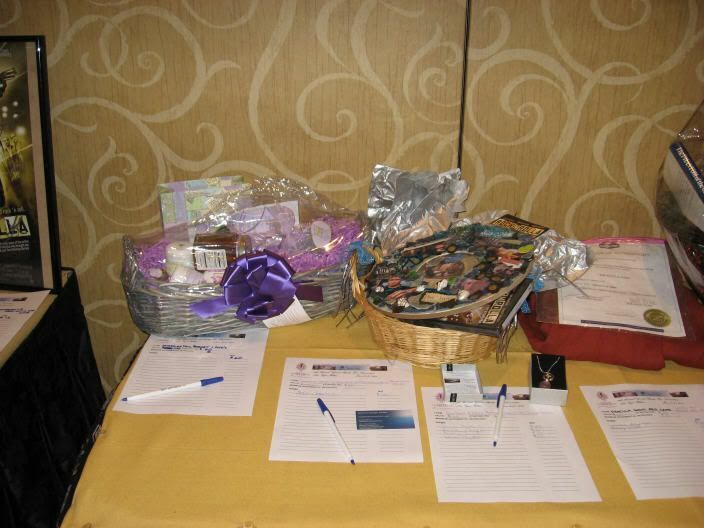 Obviously, as Gerry fans, all things Gerry-related are excellent donations - however small (as the smaller items can be combined into baskets and gift bags that my amazing team of helpers put together before I bring them to Las Vegas). With our theme of All Things Scottish this year of course anything pertaining to Gerry's beloved homeland will be fabulous. I know we have some very generous and very creative fans out there, and whether you are able to make it to Las Vegas or not (we certainly hope hope hope you will be there) your donations to the cause will be very appreciated. Another way you can help would be through donating gift cards. Perhaps you have some that were given to you that you are not going to be able to use, or perhaps you can pick one up somewhere along the way while out shopping. Gift cards can either be put into the raffles (say for Starbucks) or they can be given directly to Marlene for The Shade Tree to buy items they may need. They can use cards for places like WalMart, Target, Costco or Petco. If you have an especially large donation (such as a gift basket) and you are not driving to Las Vegas we should make arrangements for that to possibly be sent directly to the hotel, because I have limited space in my vehicle. If that is the case please PM me in advance so we can determine if I will have the space to drive it there or it is better for you to ship it directly. All donations need to be to me by no later than May 21 in order to allow enough time for my team to get everything ready for the raffle. If you are bringing your donation with you to Las Vegas that is fine too, just let me know. A MILLION THANK YOUS to everyone who is able to donate anything to this very worthwhile cause!! If you will need a receipt for your charitable donation please include documentation of the value of your donation and GALS Charitable Foundation will take care of that. I mailed my donations for the Vegas auction and raffles to you on Saturday. 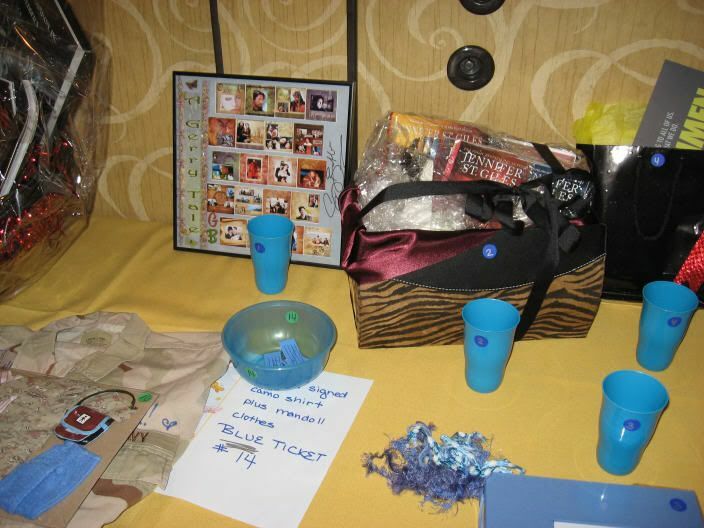 I hope you again take pictures of the final prizes you assemble like you did last year. I really enjoyed seeing all the goodies packaged up. You all did a terrific job last year and looking forward seeing to your team's creations this year! GALS! Sending some love from the Brotherhood your way this Friday! Good luck Gals!! You are awesome, Kevin! And your creations are pretty sweet, too! Wow, what awesome donations, Eric. A million thank you's for that - I know they will bring a pretty penny for the cause (I might have to duke it out with KB over one or both)! I made something out of wood and it took quite a bit of time to do. I finished it in December right before Christmas. I've been off the board for a bit so my mind hasn't been on my other convention items to finish. So, I'm going through, my things downstairs that I either made last year but didn't send or was working on for this year. I'm looking for this wooden item. Well, I found it. It was covered in popcicle juice and black sharpie marker ink. I'm like WTF! OMG someone totally put their baby spin on it and not in a positive way. I think the CSI team will have no problem guessing who did it. ISABELLE!!!! How the heck she got to it is beyond me but it's not useable. I'm not going to say what it was because I'm going to try and make another one. It's quite different so I hope I can do this again w/time. Drats! I'll try and finish up the other little items I have as well. I'm trying something different w/all the items this year so hopefully someone will like them. I have a whole bunch of mini bags for a mandoll raffle, and then I am also working on a basket for the mandolls that includes a mandoll sized camel. Merik is modeling with the camel to show you all what he looks like . . . Perfect size for your mandoll to pose with. Here are the two giftbags that I put together, one is ocean themed with Seahorses inside, while the other is just for the love of Gerry. The bags will be delivered with the photos so that GALS can see what is inside without having to peek into the bags and know what they are bidding on -if they are for the raffles. I may have more by con time, who knows! Those are just too cute Bella! Susan, here's a pic of the stuff I've been talking about. The white bear with the bowtie is not for the auction. He's riding with Jonathan to the convention. The bear with the sunglasses talks & the gorilla sings. The monkey has Velcro hands. The others just set there & look huggable. Verra cute! I like the "leather" bag! Just like the real G carries. 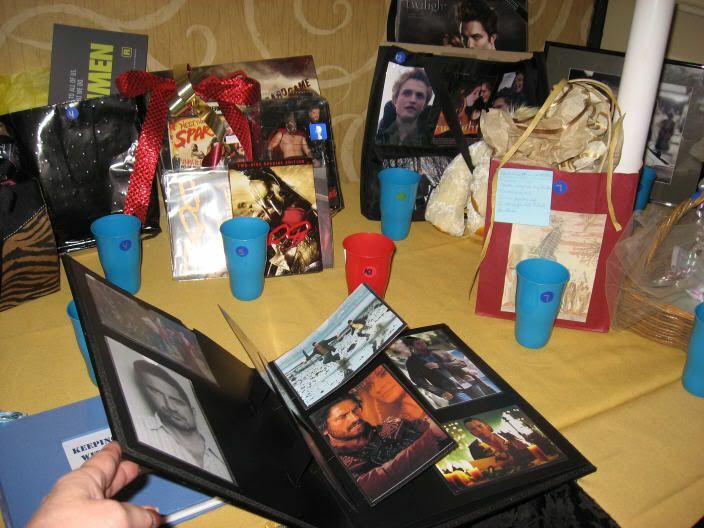 I have some items to donate for the raffle. Susan, I've already emailed you about it. I'm sorry I have to miss another convention. Crossing my fingers for next year! I'm shipping my items on Tuesday. I think they should get to Calif from Arizona by Friday via UPS. Here is my humble offering for the convention. I think it has some nice things in it like a limo with a musical phone, New York postcards, black head band, Irish linen hankie, American Eagle shamrock shorts with a pair of black suspenders, a New York skyline puzzle, battery votive candles, a tie, a shoe art photo, heart pillow & throw blanket, box of rose pedals, a pair of shamrock socks, a remember me note pad, some beautiful note cards made & donated generousity by Irish, a Teddy Bear named "Gerry Kennedy" with adoption papers dressed in a handmade brown leather jacket with shamrock shorts & black suspenders and guitar, and a picture of Gerry autographed by him at the New York premiere of the "Bounty Hunter". Hope you like and will buy several chances on it for the Shade Tree - such a worthy cause. You Guys are the best! All your donations are wonderful and I hope they pull in lot's a bucks for the Shade Tree! Wish I was going to be there....I'd be buying up some goodies! !